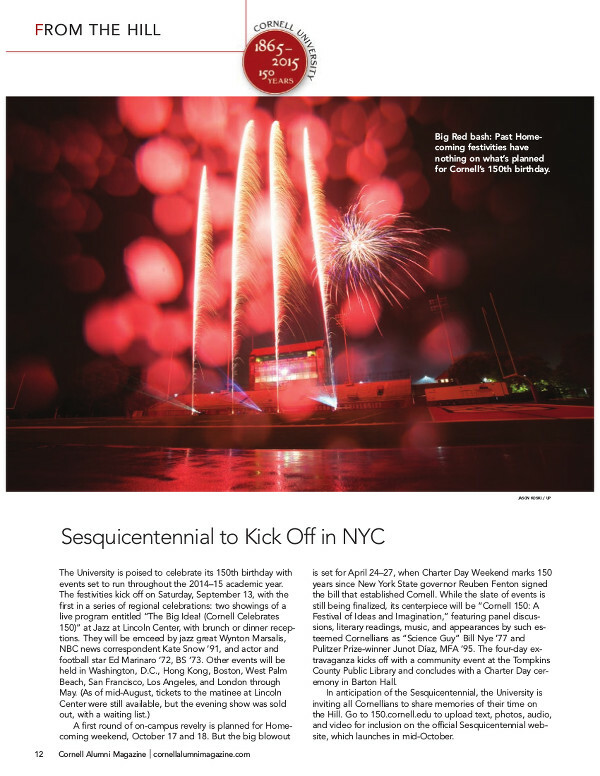 The Sesquicentennial celebrations begin. 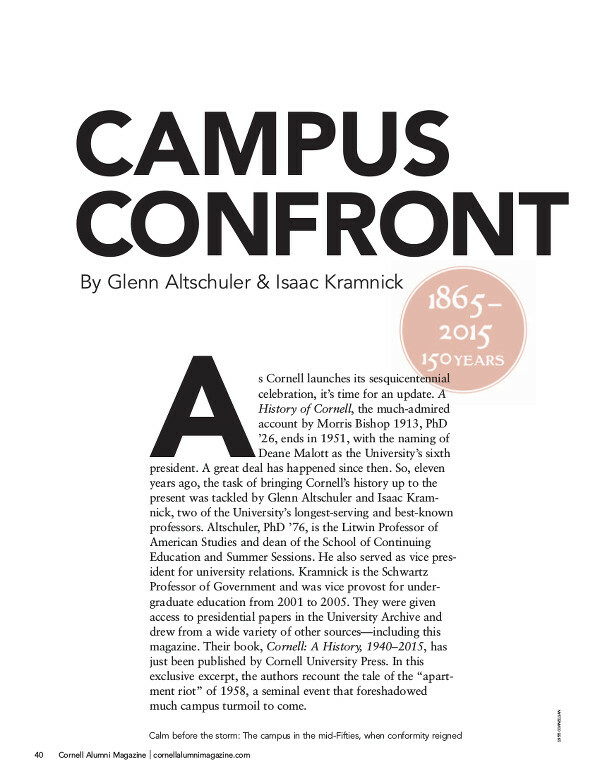 Also: Altschuler & Kramnick on the demise of in loco parentis, and tasty tips from CU’s ‘Mindless Eating’ guru. 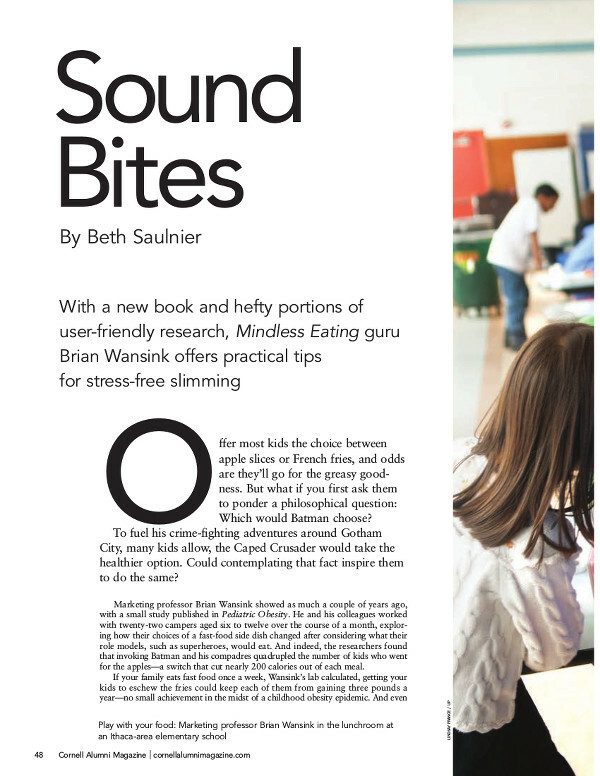 With a new book and hefty portions of user-friendly research, Mindless Eating guru Brian Wansink offers practical tips for stress-free slimming. 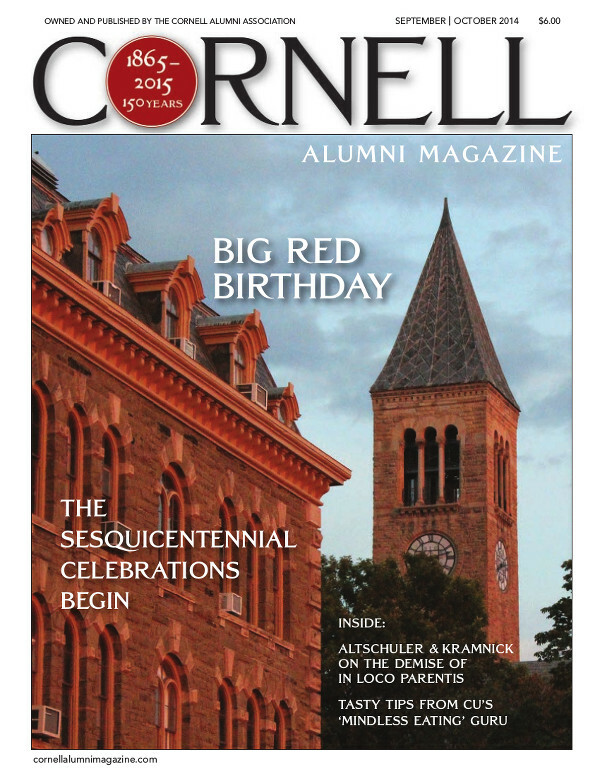 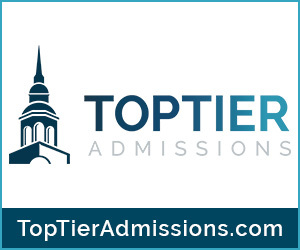 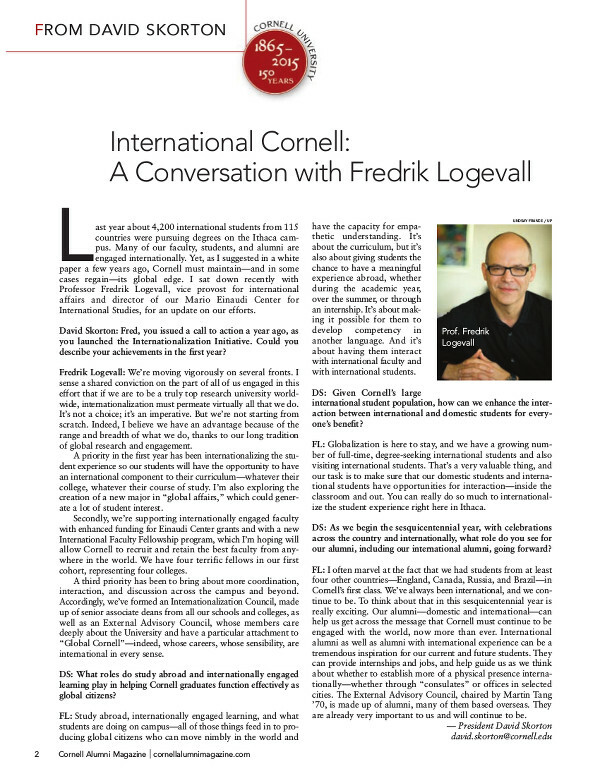 International Cornell: A Conversation with Fredrik Logevall. 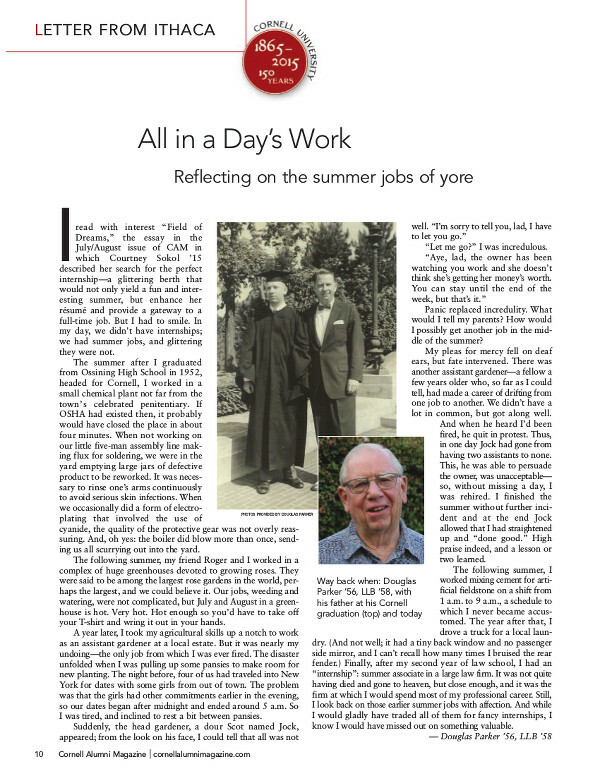 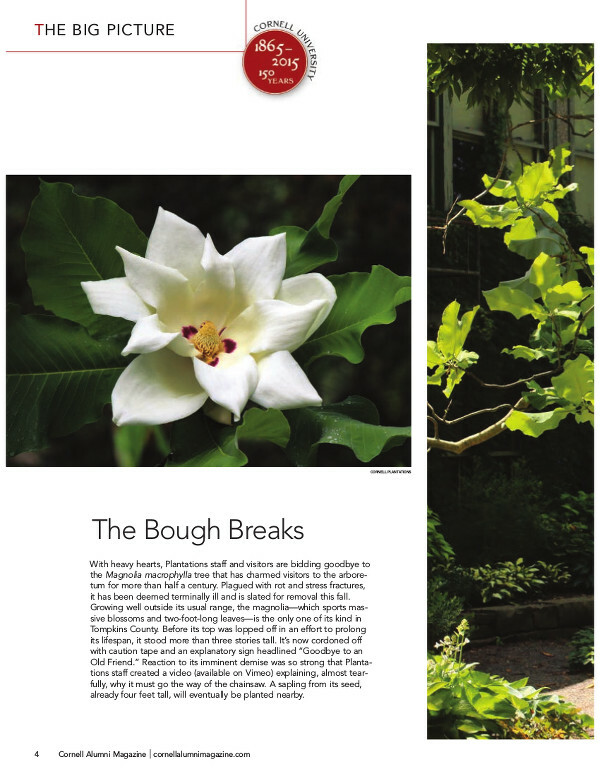 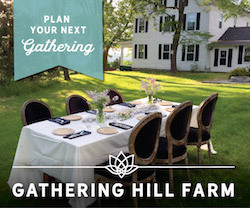 All in a Day’s Work: Reflecting on the summer jobs of yore. 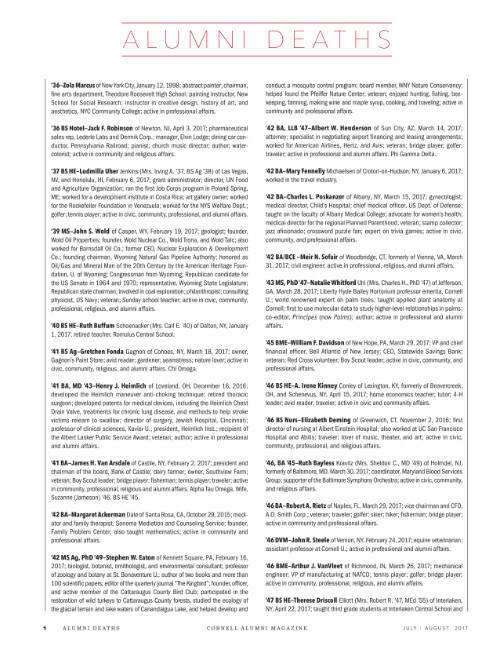 Farewell…and Thank You. 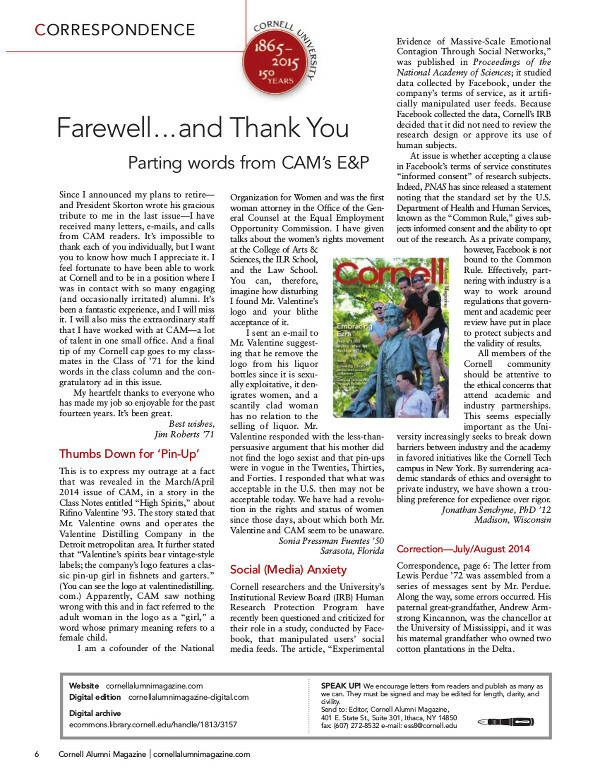 Parting words from CAM’s E&P. 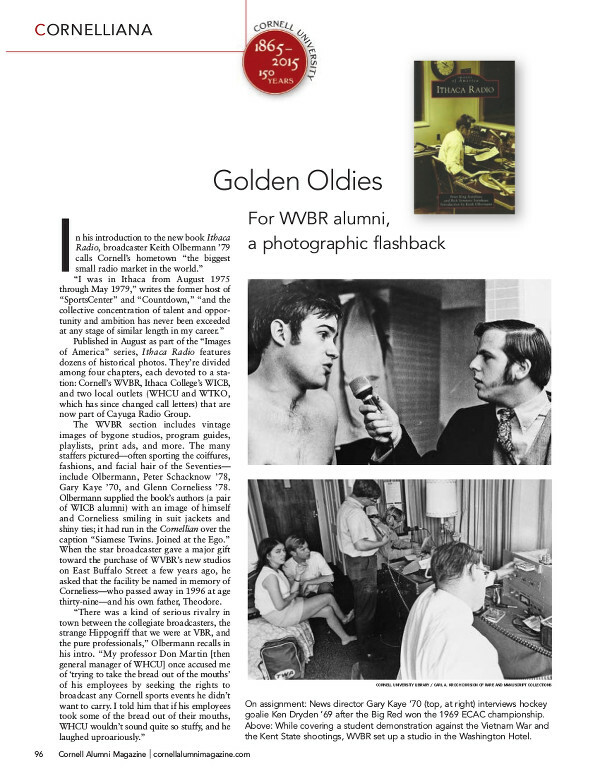 Golden Oldies: For WVBR alumni, a photographic flashback. 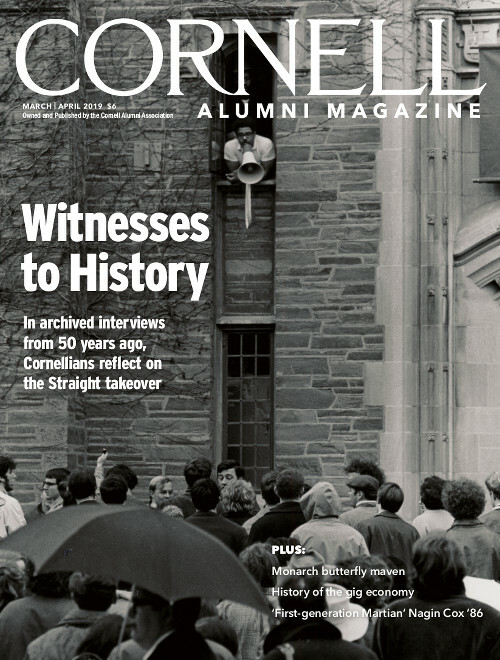 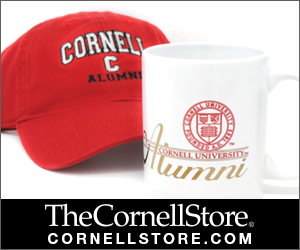 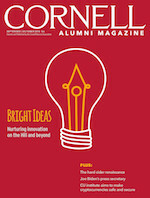 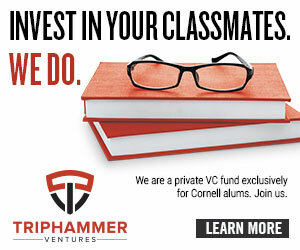 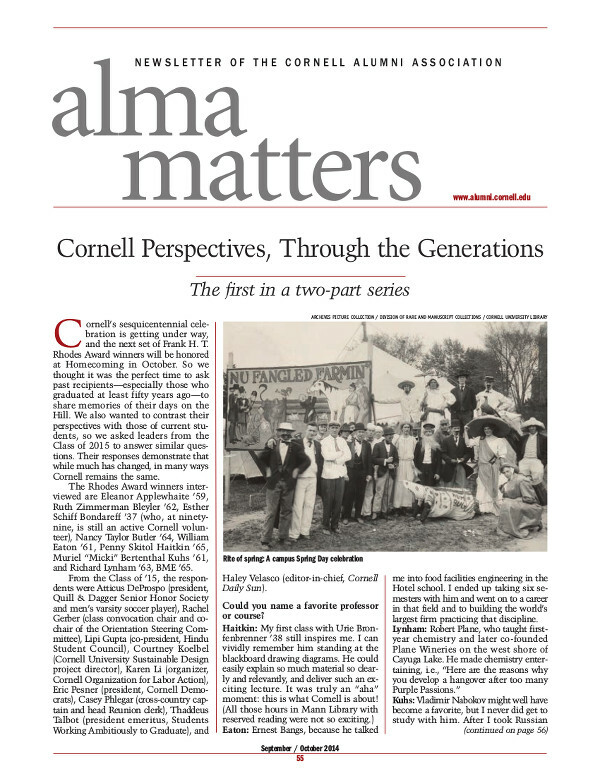 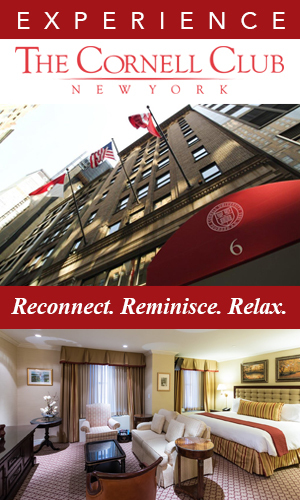 Cornell Perspectives, Through the Generations. 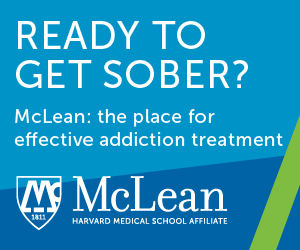 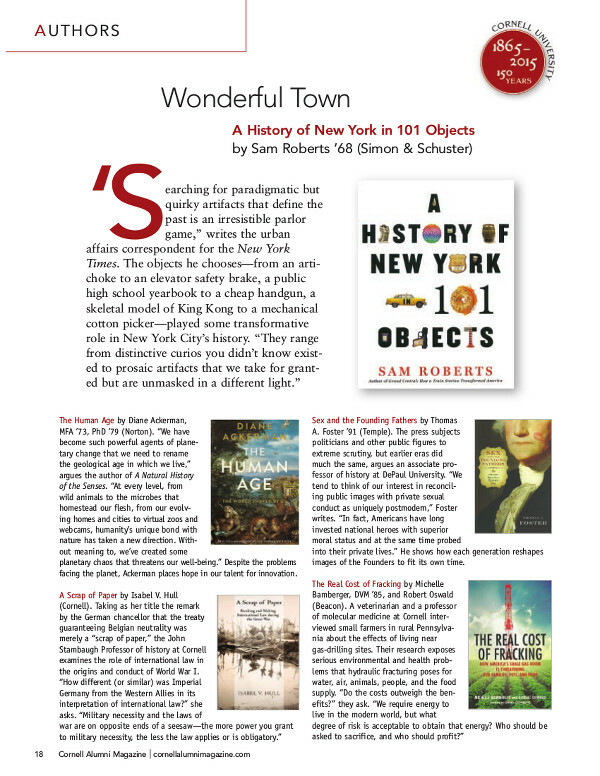 The first in a two-part series. 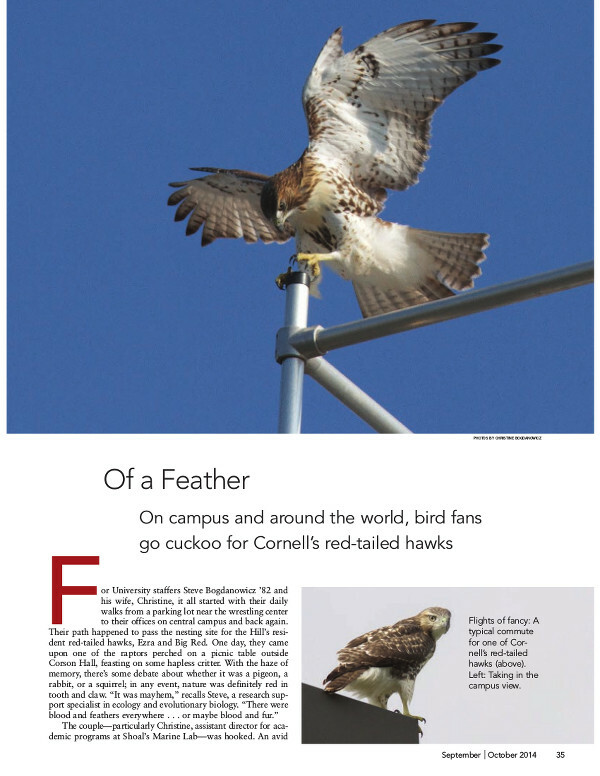 On campus and around the world, bird fans go cuckoo for Cornell’s red-tailed hawks. 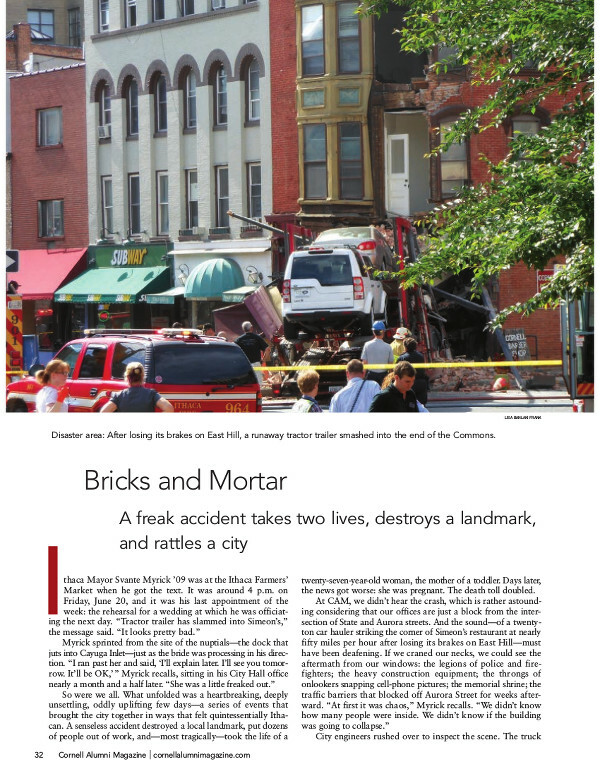 A freak accident takes two lives, destroys a landmark, and rattles a city. 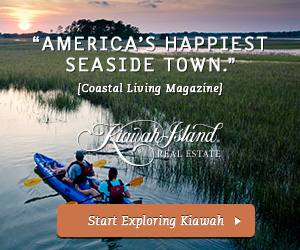 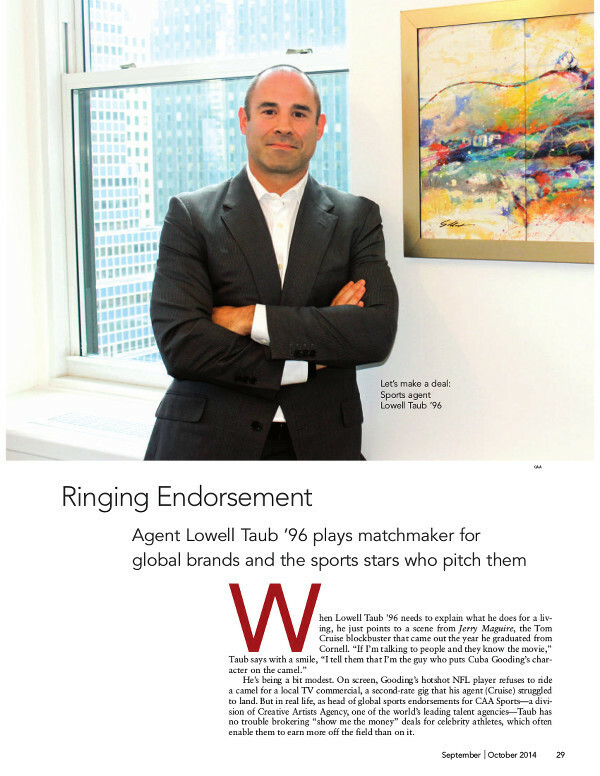 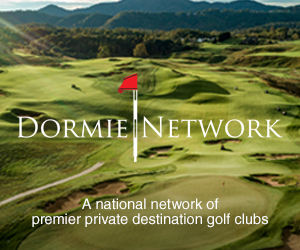 Agent Lowell Taub ’96 plays matchmaker for global brands and the sports stars who pitch them. 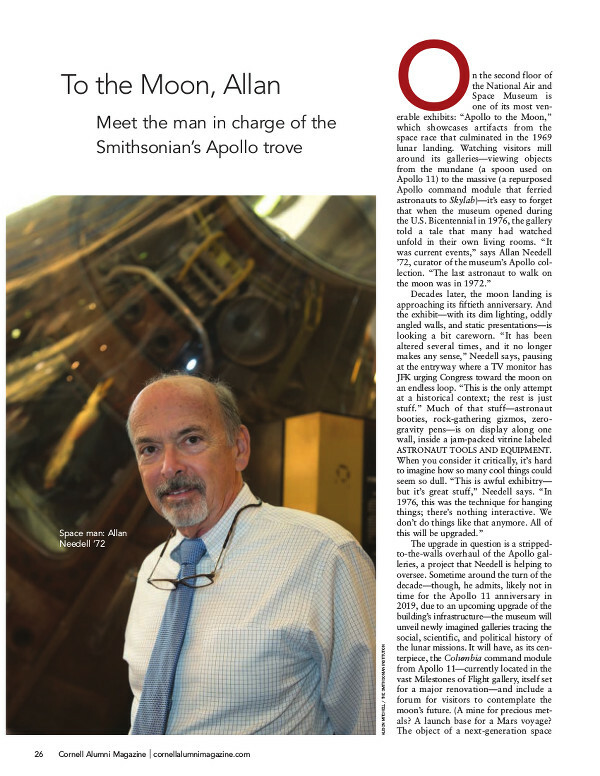 Meet the man in charge of the Smithsonian’s Apollo trove. 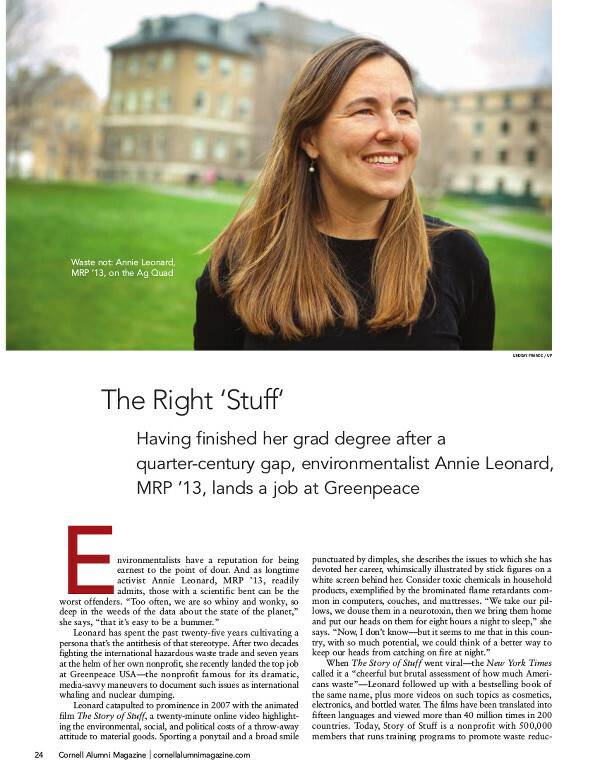 Having finished her grad degree after a quarter-century gap, environmentalist Annie Leonard, MRP ’13, lands a job at Greenpeace. 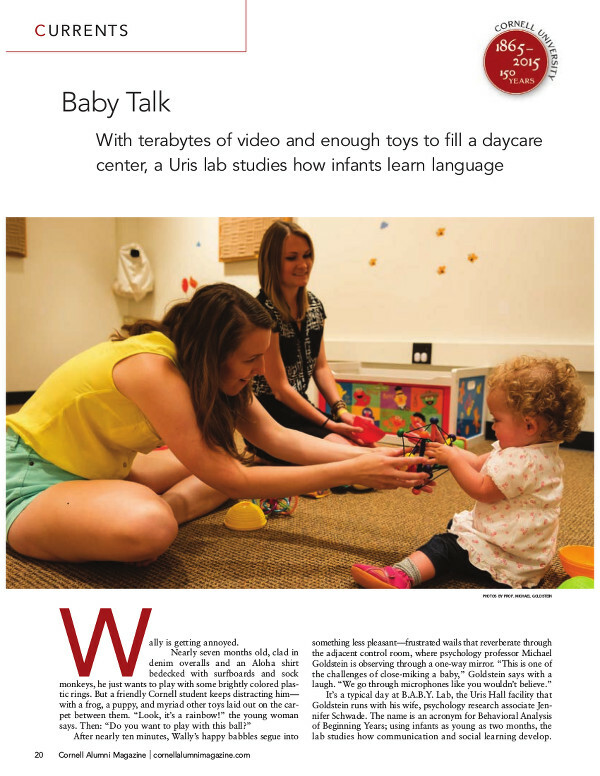 With terabytes of video and enough toys to fill a daycare center, a Uris lab studies how infants learn language.